The web is the new marketing playground. With billions of users each day and almost as many social profiles, the web has grown into a new media no business large or small should ignore. Despite the fact that digital marketing is a field that exists for years, the number of companies that are not making use of available digital tools is still worryingly large. A significant portion of these companies are small businesses that mistake digital marketing benefits for increased staff costs. However, the truth is that even without costly campaigns or large marketing teams you can significantly expand your online presence by using available resources wisely. The growth of the web has made it particularly easy for small businesses to grow their online user base, since it does not always require significant investments. 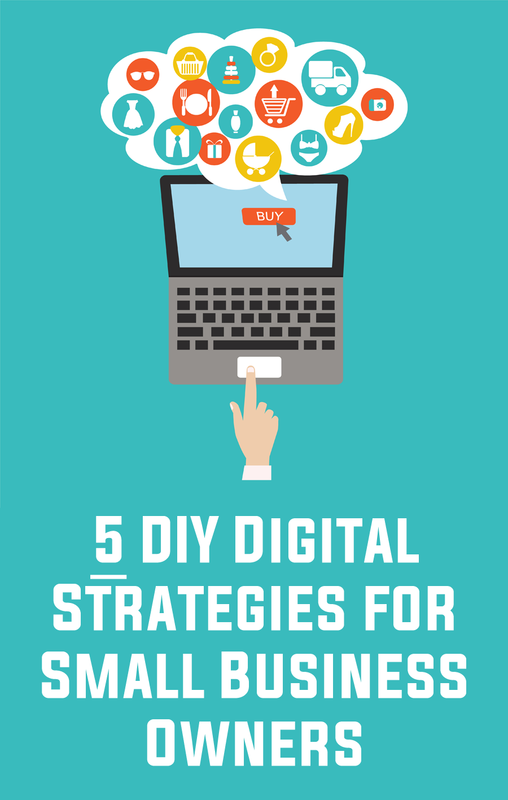 Recent Webs infographic revealed that DIY digital strategies are becoming more and more popular in this setting, and justifiably so. Much of digital activities can be done by your existing staff, as long as you know what to focus on. Make your website a place your customers can refer to any time. Given the fact that majority of people search for a product or service info online, you should make sure your web page displays all the relevant information. Besides the basic data such as your company’s address and contact person, you should add detailed product or service descriptions or videos that would easily explain your visitors what is it that you do. On the technical side, the good news is that you can build your website relatively quickly via a simple CMS platform such as WordPress that also allows you to easily install and manage any of the thousands of beautiful themes offered. Choosing a suitable web host and an adequate domain name are other important things that may require you to do a little research before you make a decision. Essentially, none of this is a rocket science, so if you’re ready to enter the digital world, you can as well start browsing the web. Blog and let the others blog for you. Professional or corporate blogging can be an exhaustive activity, but this doesn’t mean you shouldn’t give it a shot. After all, if you’re an expert in your field, you should find it relatively easy to write about what you do. Simply, start looking at the blog as a space to engage your audience and present them with relevant and interesting information about your business. Running a restaurant? Why not discuss a couple of your favorite recipes online. This is certainly something that might attract the people to your website and, later, to your restaurant too. However, one thing that you must bear in mind is that with blogging, you need to be consistent. Don’t give up if after several weeks or months you notice no significant increases in traffic to your website. One of the ways to maintain consistency is to connect with other people in the niche and ask them to write their views of the industry for your blog. This way, you’ll be able to get some interesting pieces, without having to invest a great deal of your time. Many small business owners still see social media as a waste of time, an unnecessary distraction from tasks that need to be done. However, this is on many levels a wrong view. Social media, when used strategically, can bring many benefits for your business, and this doesn’t even have to take too much of your time. Again, the good news is that you don’t need an expert background to run a Facebook page or Twitter for business. Bear in mind, however, that it’s not enough to create a business page only. You’ll need to be able to come up with fresh and interesting content regularly, which shouldn’t be that difficult if you know exactly who you are talking to. Consider your fans’ general interests and focus on that. A business page shouldn’t be a promotional space, but rather the one where people feel comfortable to share their thoughts about what interests them most. Use free analytics tools to better understand your visitors and fans. With the wide variety of website and social media analytics tools out there, it’s easier than ever to meet your audience. Looking at the numbers and metrics that would enable you to better understand your customers’ behavior is one of the crucial activities in the social zone. Google Analytics should tell you pretty much anything that is going on your website, from how people find you to what is their favorite page of your website. As for the social media, don’t try to rely on your hunch when it comes to contents you share. Facebook Insights will tell you exactly how and when people engage in your posts, while the recently introduced Twitter Analytics would do the same for your tweets. Use this knowledge wisely to create the contents your audience actually wants to see. Create Facebook or Google ads. One of the beautiful things about the rise of the digital media is that you don’t necessarily need an agency to design, plan and maintain your ads. All you need is an AdWords account or Facebook page, where you only need to determine what your landing page will be. To make the campaign run smoothly, these tools will tell you exactly which ads are performing best, which additionally reduces your worries. Just remember that 65% of SMBs who have a digital marketing presence now use ads to promote their business, whereupon those that use marketing automation software to nurture leads report 451% increase in qualified leads. Now imagine the extent to which this expanded their business, and you’ll realise that you too can make some progress. One thing you need to understand about digital strategy is that in this space everything depends on your knowledge, creativity and readiness to explore the area. Unlike traditional advertising or marketing channels, digital media doesn’t necessarily require huge financial investments, as long you’re ready to dedicate some time to sharing your professional attitudes. Strong will and some research about the latest trends should eventually make your digital efforts not only profitable, but also an interesting activity, so there’s certainly no reason for you to miss the opportunity. And don’t forget, if you’re after great Australian web hosting – speak with the team at Crucial!